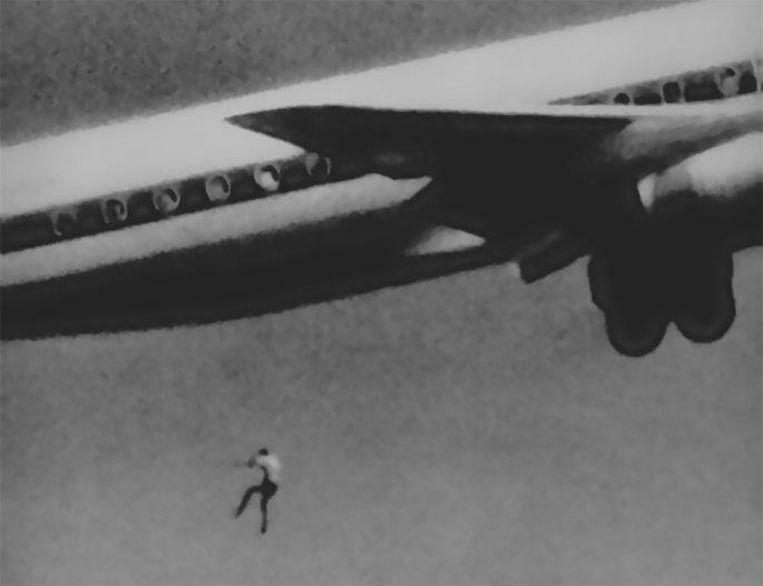 This week, it is 49 years ago that 14-year-old Keith Sapsford fell from an airliner. The boy had hidden in the landing gear of an airplane to fly to Tokyo, but the compartment opened in full flight. Amateur photographer John Gilpin, without realizing it, took a picture of Keith as he faced his death. Keith had run away from home several times and his parents had registered him in a home for unruly children. But there he walked away after a day, straight to the airport. Keith managed to reach the tarmac and climbed into the landing gear of a plane to Tokyo. There he waited a few hours for the plane to take off. But the boy did not know that the landing gear valve opens again after take-off to allow the wheels to fold in again. The boy fell flat out of the landing gear and tumbled down 60 meters. According to experts, Keith would not have survived the flight without the fall. The boy only had shorts and a t-shirt and the temperature in the landing gear could drop too far below zero. Moreover, the lack of oxygen would also have been fatal at thousands of meters of altitude. ©John Gilpin – The fatal fall of the young Keith was photographed by accident. Amateur photographer John Gilpin had no idea that he had just captured the last moment of Keith. Only a week later, after he had developed his photos, he saw the falling boy. The image goes around the world again, exactly 49 years later.